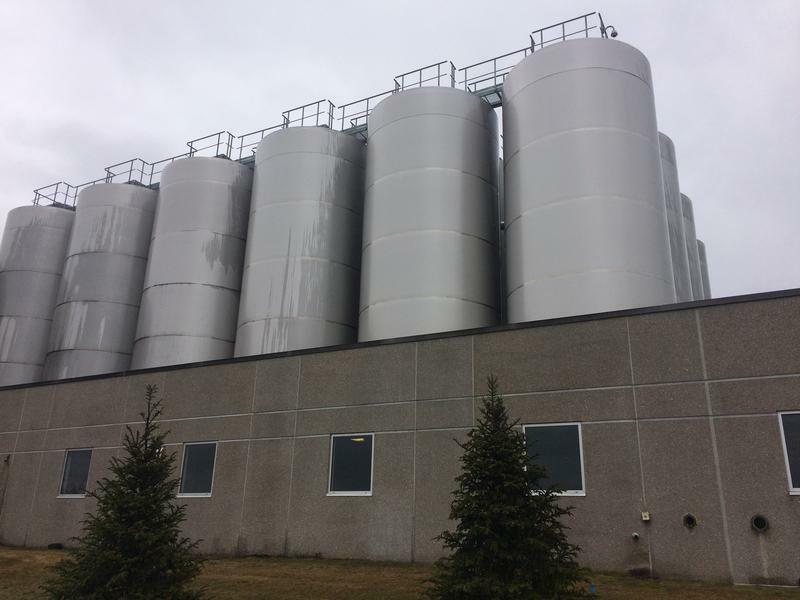 Is Michigan making it too expensive for companies to go green? Early in February, Eastern Michigan University canceled classes due to a sloppy snowstorm. But it didn’t cancel a big event it had planned for a long time – the ceremonial flipping of the switch on its energy pride and joy: a brand new co-generation plant. Environmental groups are crying foul over a new bill (H.B. 5638) they say would make it easier for agribusiness to get approval for large scale groundwater extraction proposals. 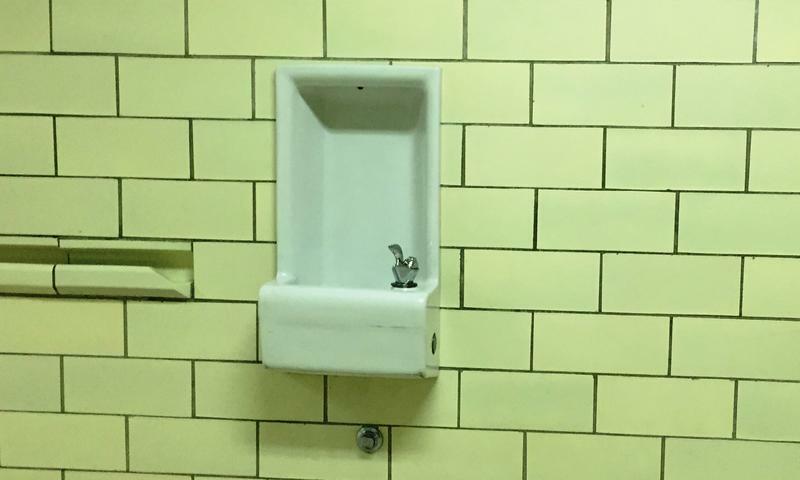 Last month, the state of Michigan declared Flint’s drinking water quality "restored." 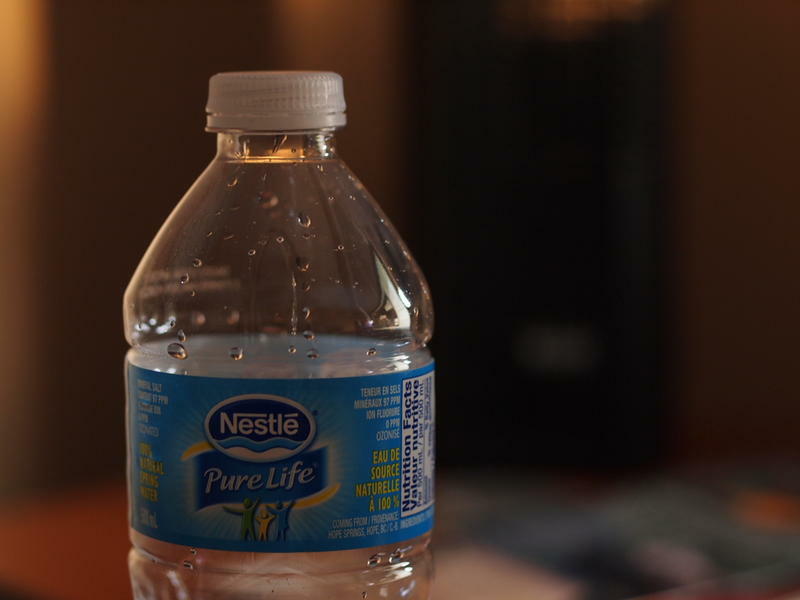 To get to this point, it’s taken, among other things, more than 30,000 water tests. Do we still need to require utilities to use other companies' clean energy? Cypress Creek Renewables has been lining up farmland in Michigan for more than a year now. The object? Leases for enough land to install several hundred megawatts worth of new, emissions-free solar projects. Combined, that would equal the electricity output of a small coal-fired power plant. 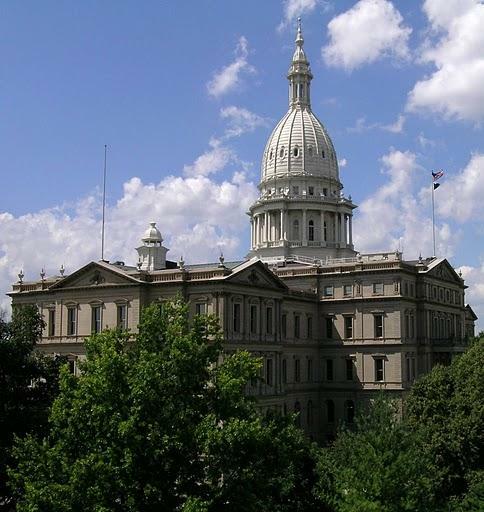 But a bill introduced in Congress by U.S. Rep. Tim Walberg, R-Mich., could put a halt to those plans, as well as the plans of other renewable energy companies that want to set up shop in Michigan and states across the nation. Modernizing PURPA, or gutting it? Stateside’s conversation with Nancy Langston, professor of environmental history at Michigan Technological University and author of "Sustaining Lake Superior: An Extraordinary Lake in a Changing World." 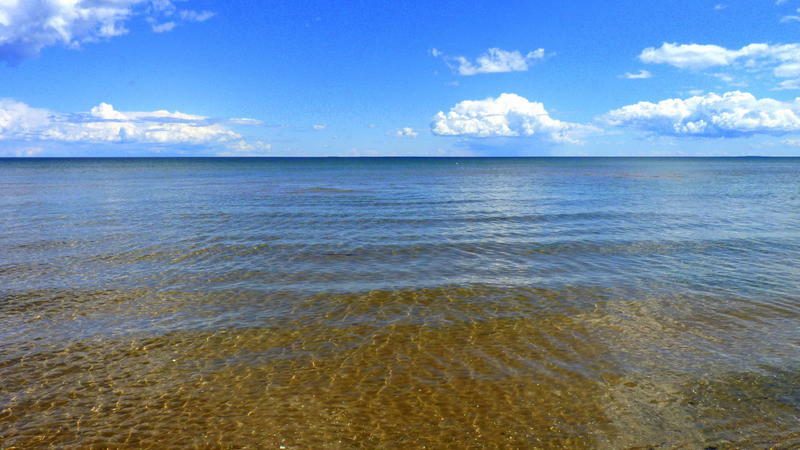 Lake Superior, the largest freshwater lake in the world, is awe-inspiring on many levels. But it’s also challenged. Though it seems pristine, a couple centuries of exploitation have taken their toll. 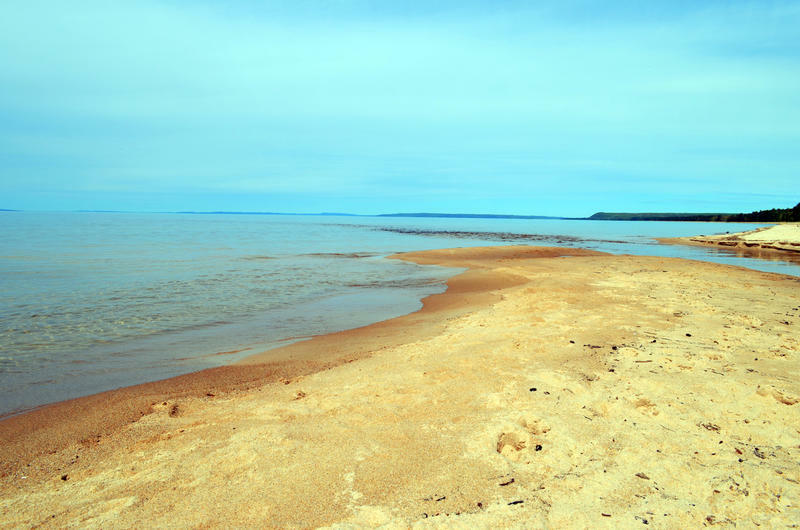 A new book Sustaining Lake Superior: An Extraordinary Lake in a Changing World, published by Yale University Press, traces the history of the lake and some of the indignities it's suffered at the hands of humans. What makes water important to local communities? The Michigan Humanities Council wants to know. Stateside’s conversation with Shelly Kasprzycki, executive director of the Michigan Humanities Council. 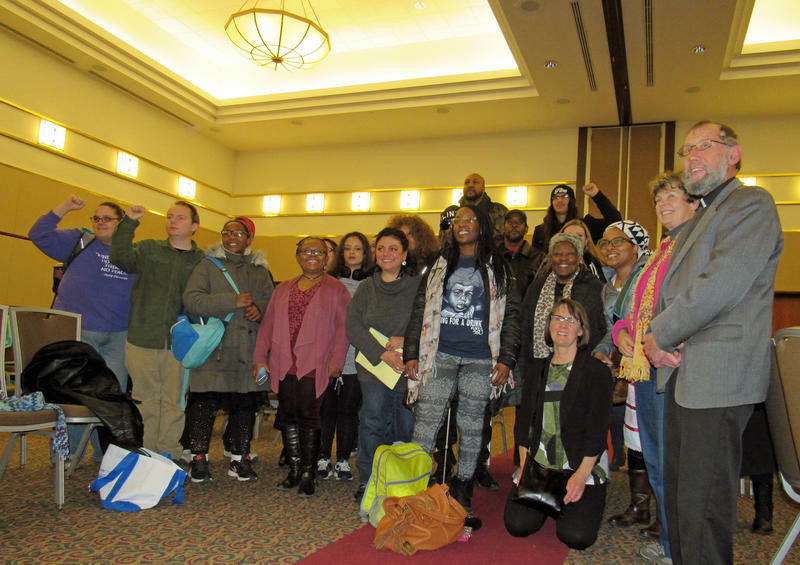 That's the invitation from the Michigan Humanities Council to communities and organizations around the state. 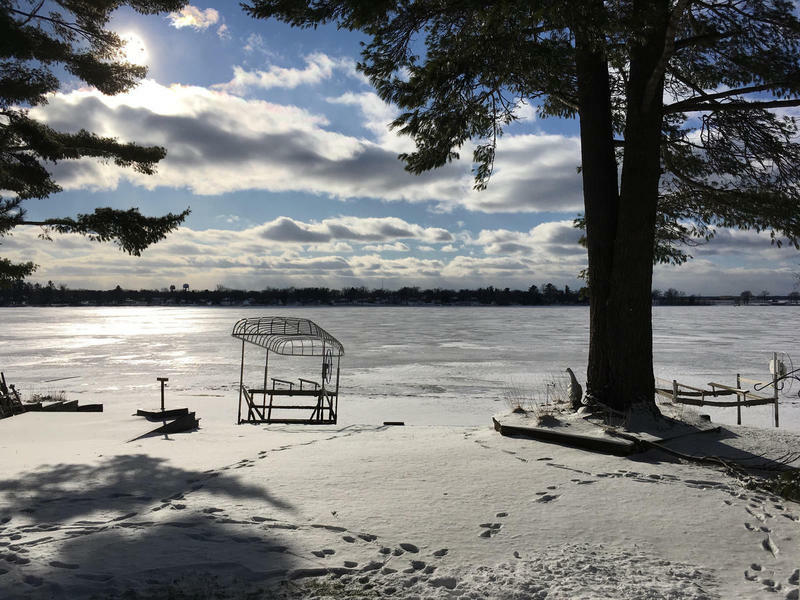 The council is accepting applications for groups to host Third Coast Conversations: Dialogues about Water in Michigan. 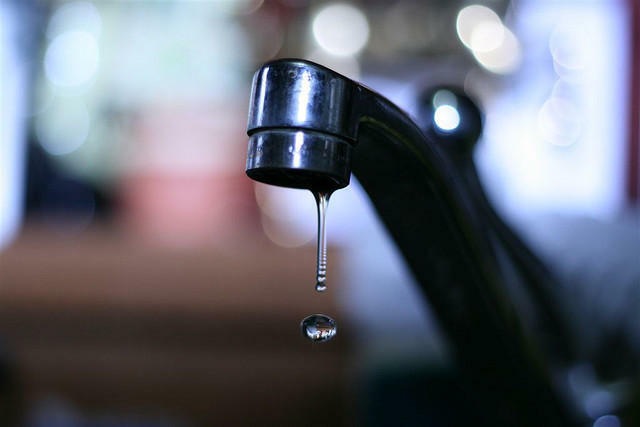 Low-income, rural areas are the most vulnerable to drinking water quality violations that could affect people’s health, according to a new nationwide study. This week marks the 196th birthday of someone who occupies a place of dishonor in the annals of science. 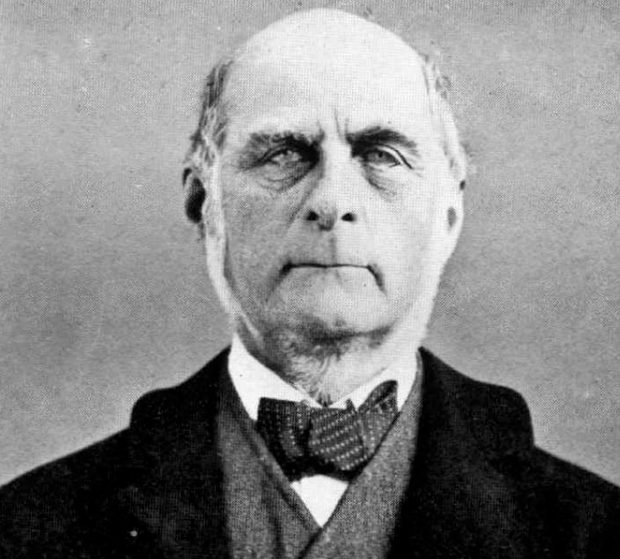 Sir Francis Galton was born this week in 1822. He was interested in a wide range of fields: meteorology, psychology, and biometrics, but it was his social theory on eugenics that left an unsavory and unhappy mark on the world. State and federal officials say they expect to make headway this year on an underground chemical plume expanding from a former Air Force base. The chemicals (perfluorooctanesulfonic acid (PFOS) and perfluorooctanoic acid (PFOA) are linked to firefighter training on the former Wurtsmith Air Force Base. The firefighters used the foaming chemicals to extinguish jet fuel fires starting in the 1960s. The base closed in the 1990s. But while Wurtsmith’s been closed for decades, the chemical plume continues spreading through the groundwater into local wells and nearby open water. Hundreds race to catch "dinosaur of a fish"
This month, hundreds of spear fishers went to Black Lake in northern Michigan. 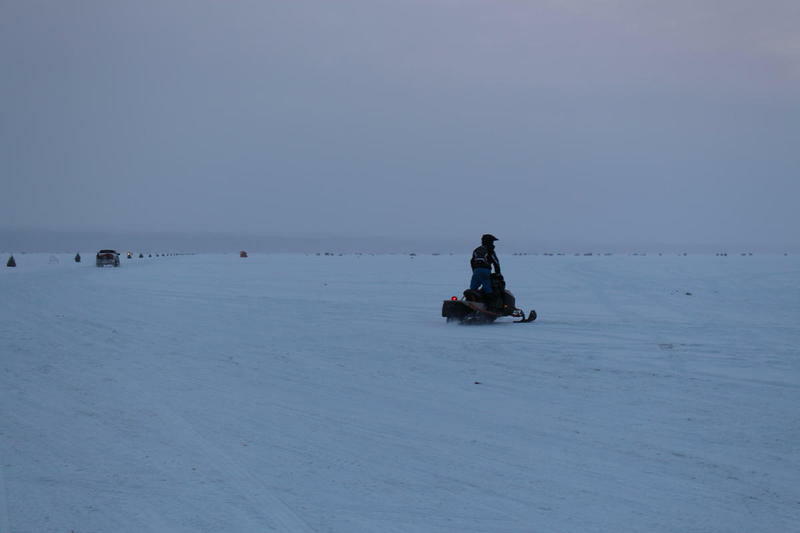 They competed to catch just six lake sturgeon before the fishing season ended. Sturgeon are a state threatened species, and their harvest is tightly regulated. Could a fungus from the bottom of the Great Lakes hold a cure for cancer? That answer comes today on Stateside. We also discuss why lawmakers are exploring the option to eliminate no-fault auto insurance. 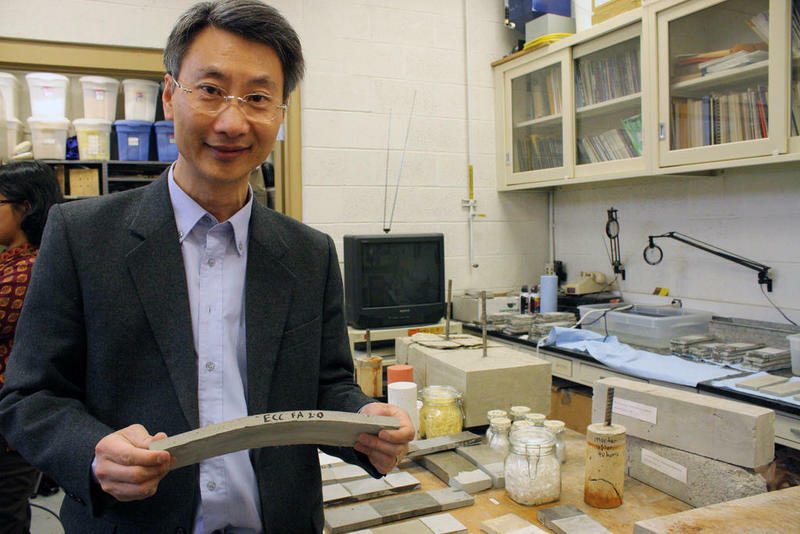 Could a fungus from the bottom of the Great Lakes hold a cure for cancer? 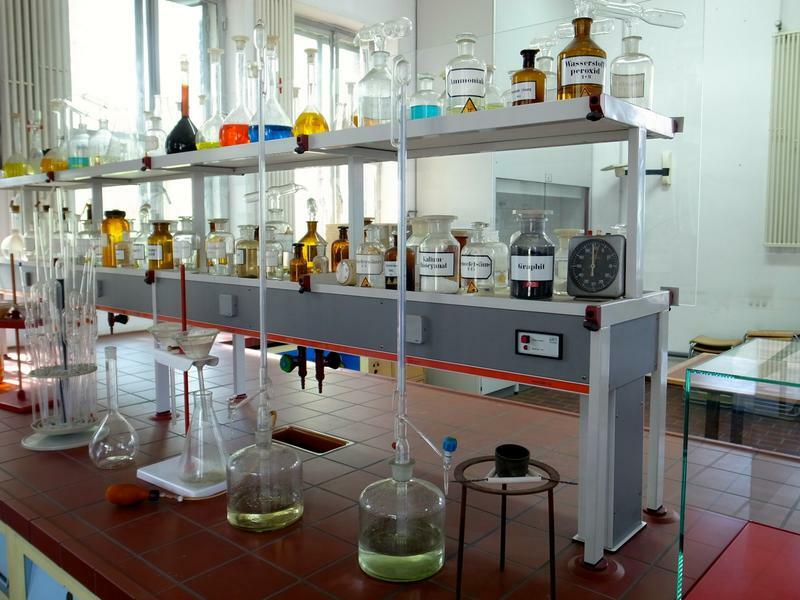 Stateside's conversation with Robert Cichewicz, a natural products professor at the University of Oklahoma. 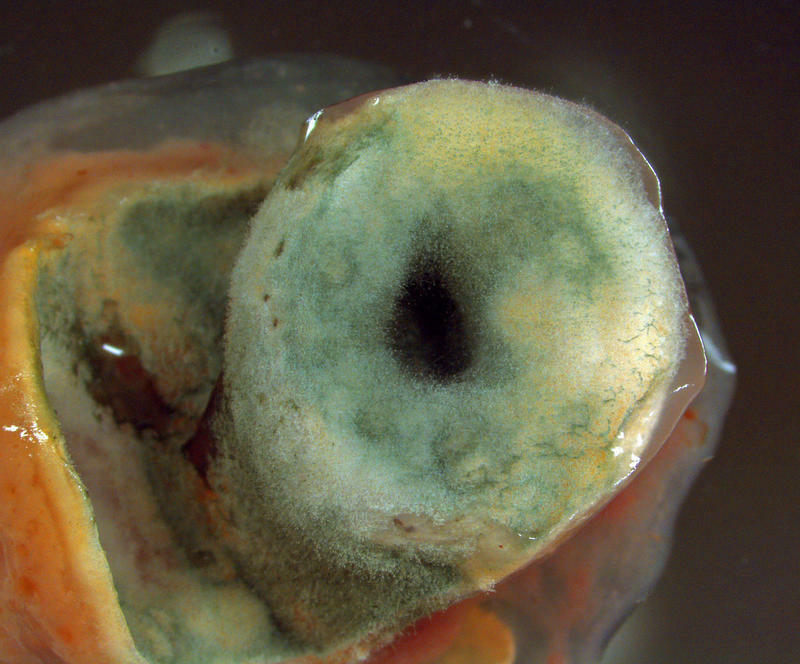 The final answer is still far in the distance, but a team of scientists believes there is promise in newly discovered Great Lakes fungi. Some state lawmakers want to shift control of environmental rules from the Department of Environmental Quality to state-appointed boards, a move environmentalists say would put the fox in charge of the henhouse. Senate Bill 652 would create an 11-member committee, mostly from industry groups like manufacturing, small business, oil and gas, and agriculture, to oversee all DEQ rule-making. And SB 653 would form another board with the ability to modify or reverse DEQ decisions. 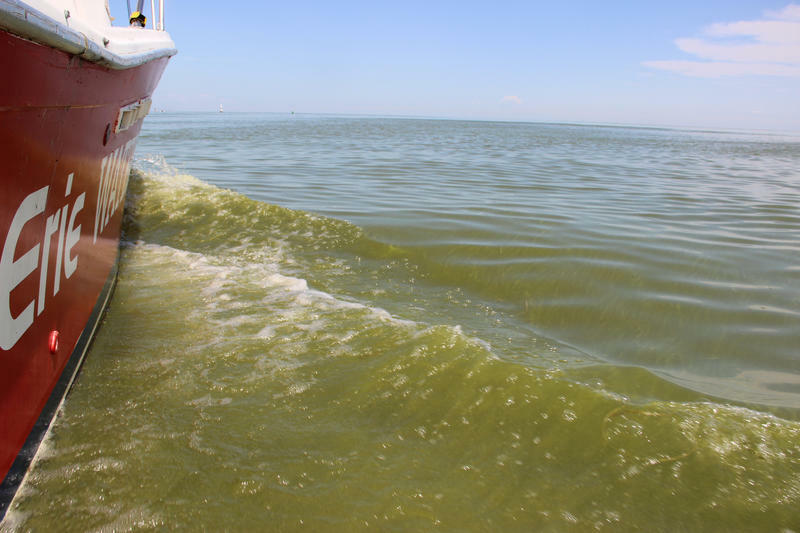 An advisory board with the International Joint Commission says the U.S. and Canada should do more to keep nutrient pollution out of Lake Erie. Stateside's conversation with Michael Beaulac of the Michigan Office of the Great Lakes out of the Department of Environmental Quality. Autonomous vehicles are making their way towards the highways and streets of America, and between the automakers and the American Center for Mobility at Willow Run, Michigan is playing a big role in developing the technology for autonomous vehicles. Since Michigan is surrounded by the Great Lakes, what about autonomous vessels on the lakes? 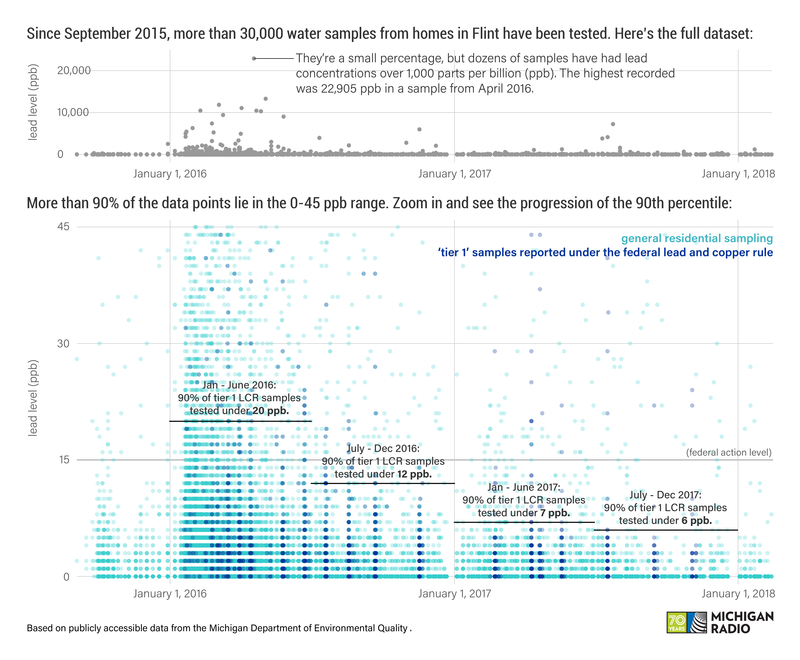 Near a landfill in northern Michigan, residents have been dealing with undrinkable water for decades. Now, a new proposal at the landfill makes them even more concerned. 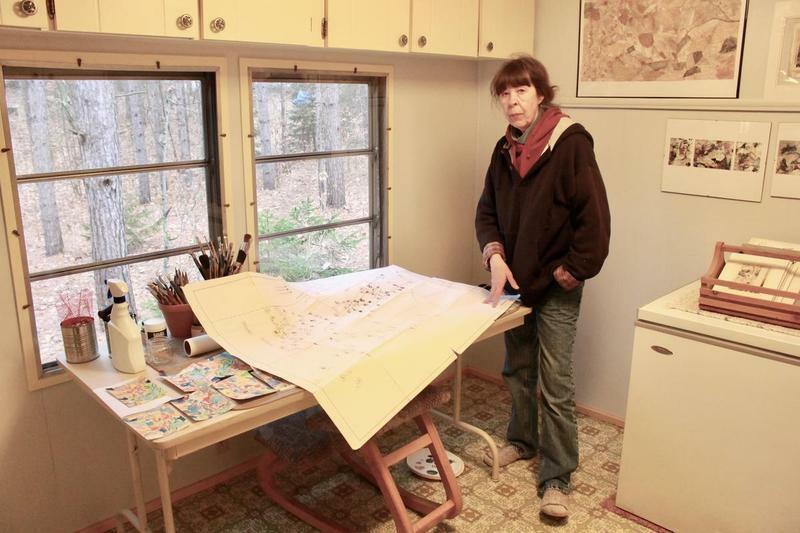 In 2005, Rita McNamara’s well broke and she needed a new one. McNamara says she was walking her property with a well driller when a woman from the county health department drove up. Today on Stateside, we hear from a researcher who's found a link between the Legionnaires' disease outbreak in Genesee County and the switch to Flint River water. And, we talk about the crucial moment of Super Bowl LII when two former Wolverines mattered most. Stateside's conversation with Michele Swanson, a professor of microbiology and immunology at the University of Michigan Medical School. 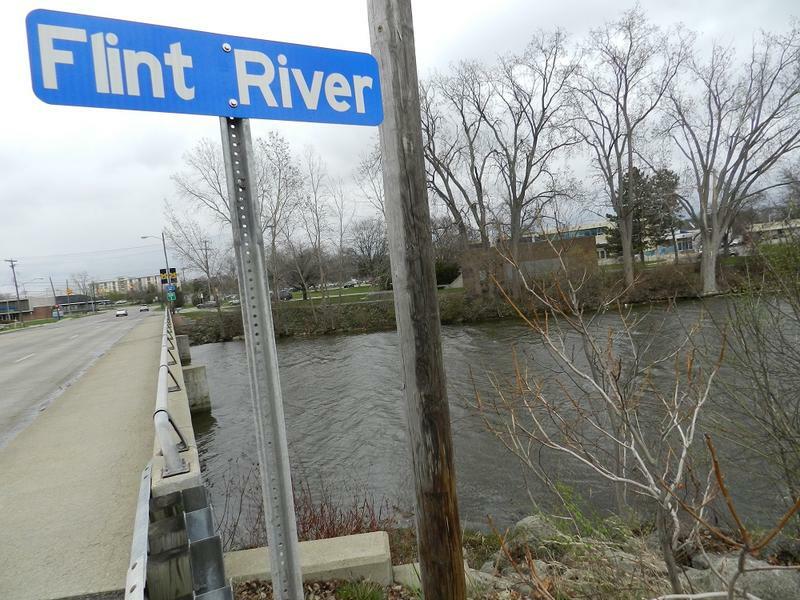 Researchers have linked a Legionnaires' disease outbreak in Genesee County to a switch to the Flint River for drinking water. During the Legionnaires' disease outbreaks in 2014 and 2015, twelve people died and 79 people became sick. Michigan wildlife officials are launching a five-year study to see if deer movement is spreading a serious disease. 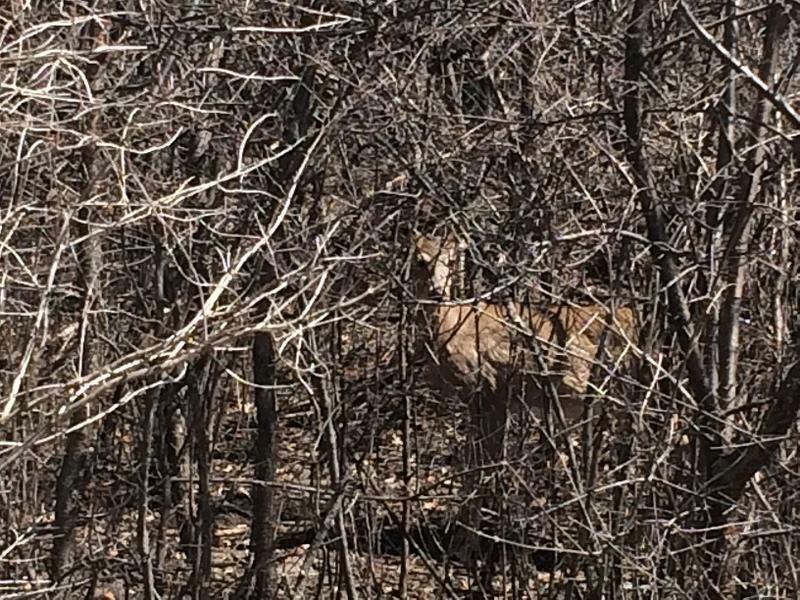 Since 2015, 58 cases of Chronic Wasting Disease have been identified in the state. CWD attacks the brain of infected animals, resulting in death. The outbreak started near Lansing, but has spread to other areas. MSU professor David Williams is fitting deer with collars to see if their movements are increasing their contact with infected herds. The Michigan Department of Environmental Quality has approved a permit for a new marina near Saugatuck. It's slated to be part of a housing development on the shore of Lake Michigan. 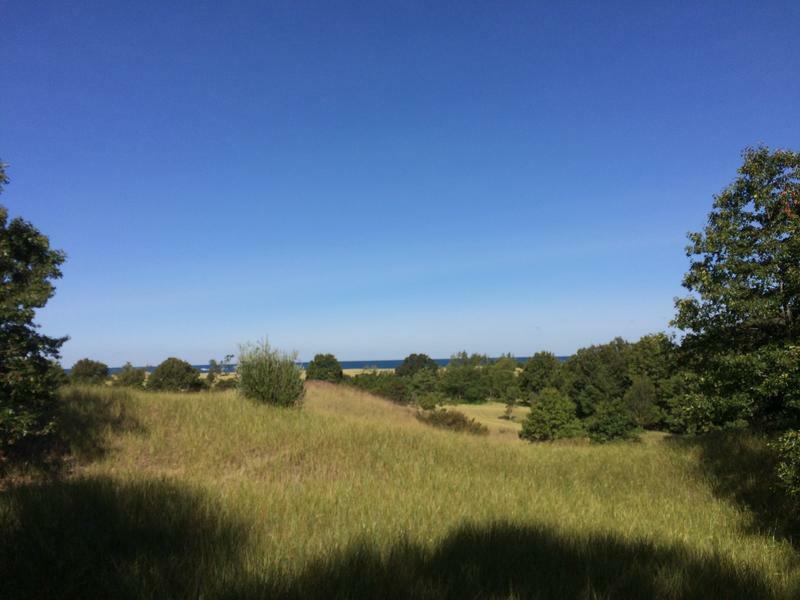 David Swan is president of the Saugatuck Dunes Coastal Alliance. He says the marina will spoil an otherwise mostly pristine area. "It is a 1600 foot long, 200 foot wide, 18 foot deep trench through Michigan's critical dunes," says Swan. "(This area) is completely unique. The river mouth and the beaches are essentially undeveloped." Stateside's conversation with fern MacDougal, a member of the Ann Arbor chapter of Science for the People. The late 1960s saw the birth of many activist groups fighting to change the status quo, particularly in light of the ongoing Vietnam War and Civil Rights movement. Science for the People was one such group. It was made up of radical scientists who challenged the relationship between their work and political and economic power. Insecticides widely used on farms, lawns and gardens — known as neonicotinoids — are showing up in rivers across the Great Lakes region. On Wednesday, Gov. Rick Snyder announced an interstate partnership with leaders of the Great Lakes states to reduce the risk of invasive carp from entering the Great Lakes by strengthening defenses in a Chicago-area waterway. 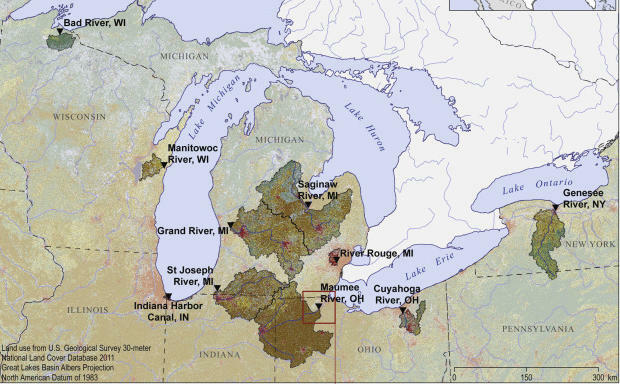 Michigan, Ohio, Wisconsin, and Ontario are the founding members of the partnership, representing more than 90% of the Great Lakes surface area. 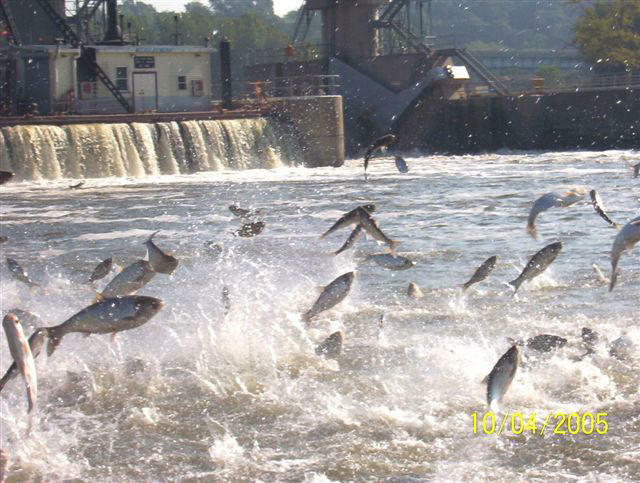 The initiative contributes to reducing costs of upgrading the Brand Road Lock and Dam near Joliet, Illinois, a key choke point between the carp-infested Illinois River and Lake Michigan. Stateside's conversation with Mary Stewart Adams of the Headlands International Dark Sky Park. 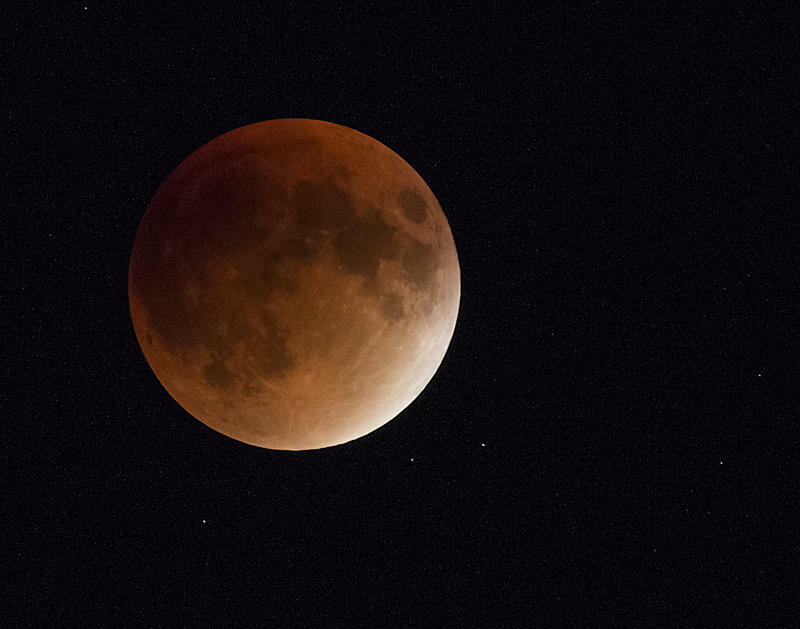 Tomorrow morning there will be a lunar trifecta: the super blue blood moon. Mary Stewart Adams of the Headlands International Dark Sky Park in Emmett County joined Stateside today to explain what this rare lunar event is, what Michiganders will be able to see, and when. The climate solutions caucus in the U.S. House is a group of more than 60 Democrats and Republicans who want to address climate change. Representative Fred Upton from St. Joseph just joined the caucus. Last fall, Representative Jack Bergman, R-MI 1st District, announced he was joining the caucus. He represents northern Michigan. 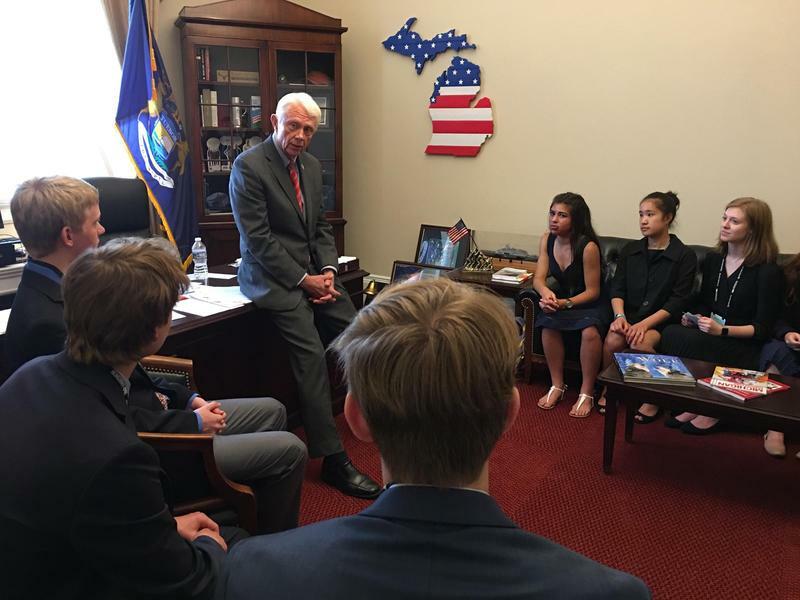 A group of Traverse City high schoolers were the unlikely lobbyists who helped convince Bergman to join the caucus.